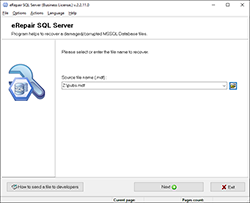 ﻿ How to repair corrupted MS SQL Server database? 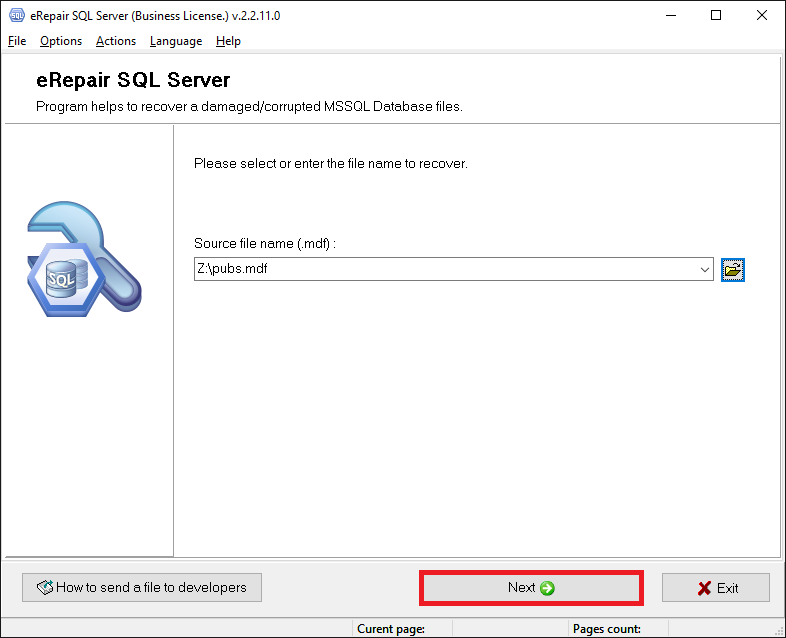 How to fix a bad or suspend MS SQL Server database? 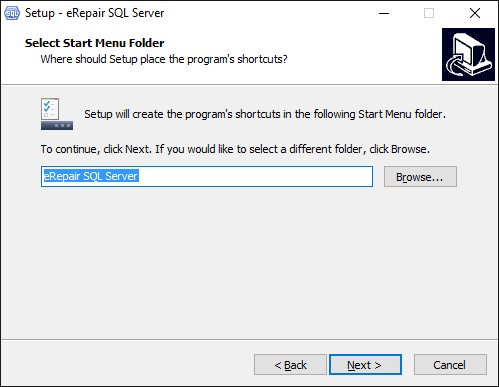 eRepair SQL Server (Download) designed for recovering data from a non-operating database of Microsoft SQL Server. Based on an intelligent recovery engine, eRepair SQL Server is a specialized tool intended for data recovery from corrupted MS SQL (*.mdf, *.ndf) database files. 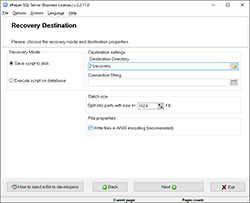 The software features a very clear interface and offers a step-by-step, wizard-based recovery process. 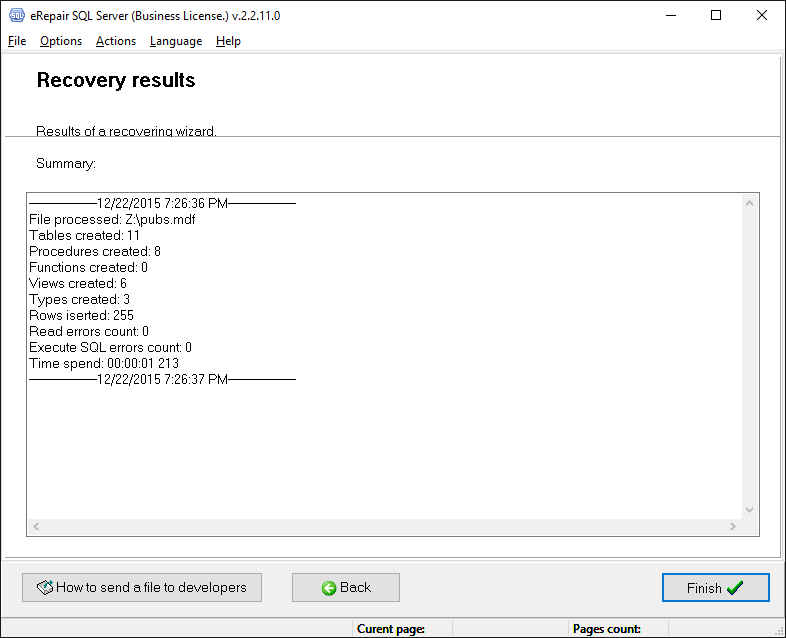 This is where you can look at what the program can recover: system and user tables, stored procedures, views, user-defined data types and functions. Each of the items can be previewed prior to being recovered. 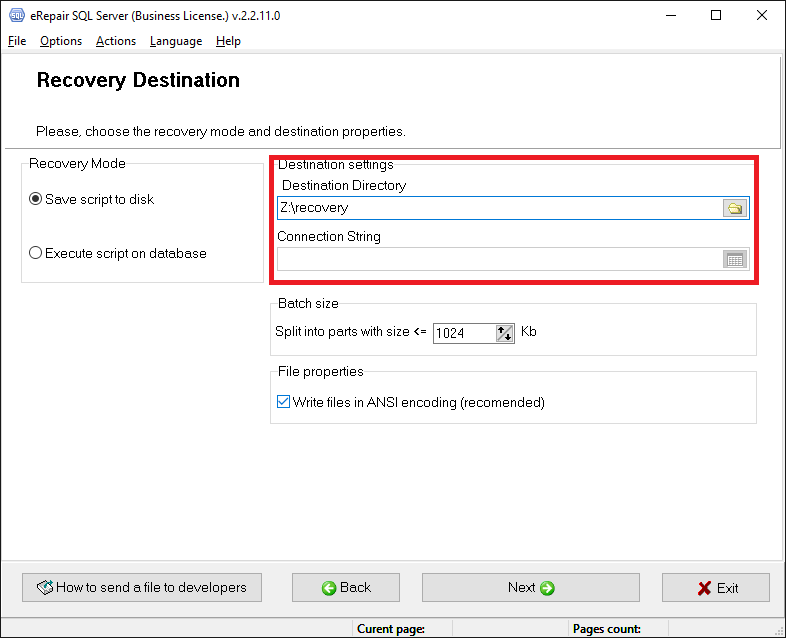 You can save the recovery results as a package of SQL scripts or connect to a database and unload the data there. 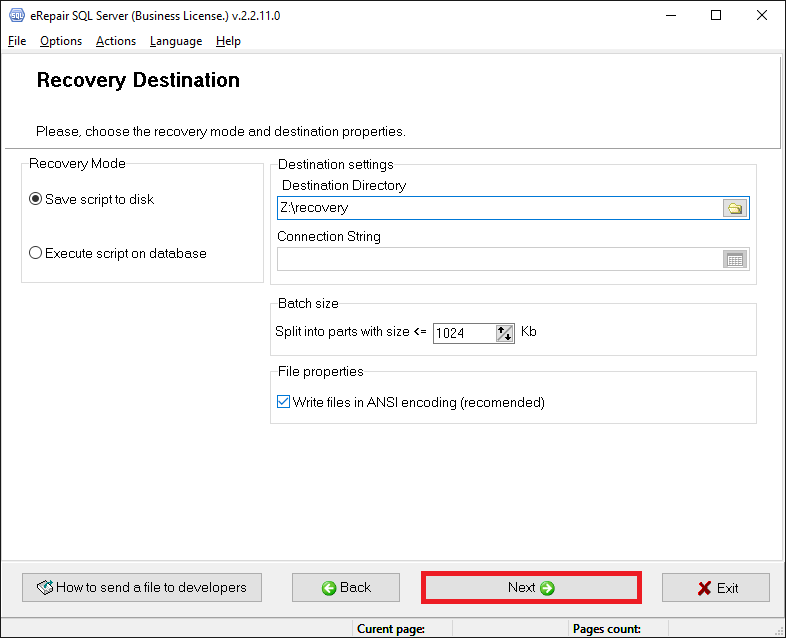 Once the output method has been selected, you can start the recovery process. 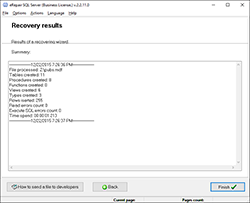 This is the longest step that involves another deep scan of the entire database, so the duration of this step directly depends on the complexity/size of the damaged source file and the bandwidth of your CPU and PC/Server. During this stage, the *.mdf repair program performs an *.mdf fix and saves your data according to the options specified in the previous step. 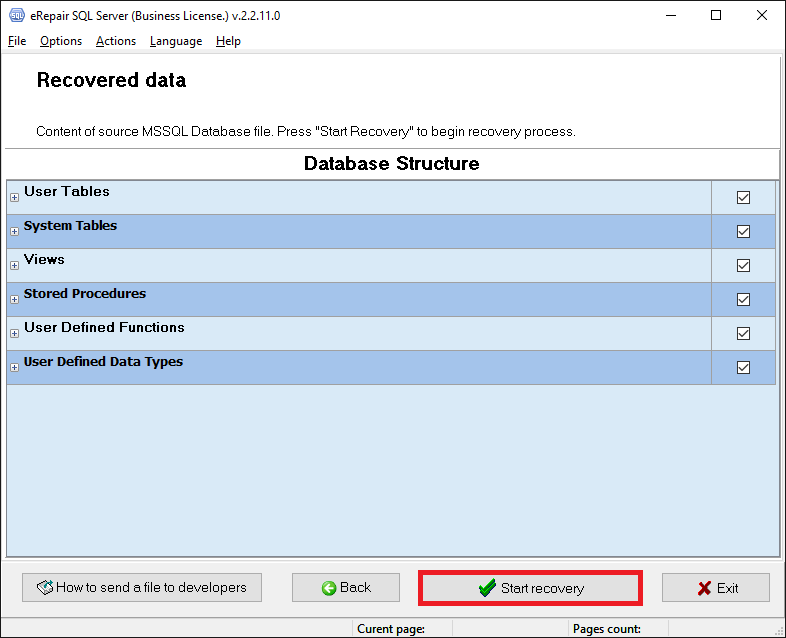 Occasionally, the program may encounter irrecoverable SQL database segments, so you should be prepared for such situations and take them as granted. 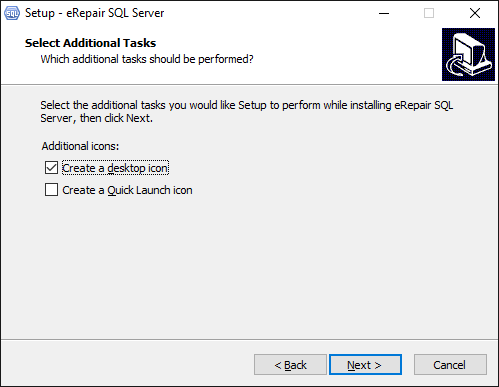 This is when eRepair SQL Server displays a list of actions performed during the current recovery session. 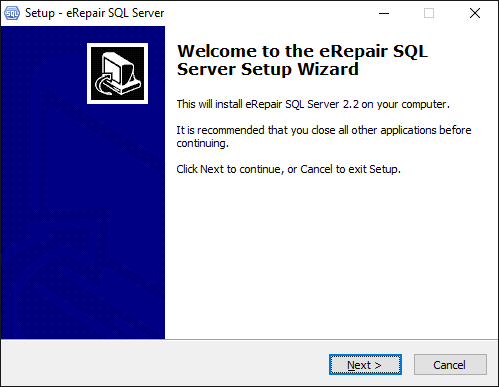 Download eRepair SQL Server and try the DEMO version right away! 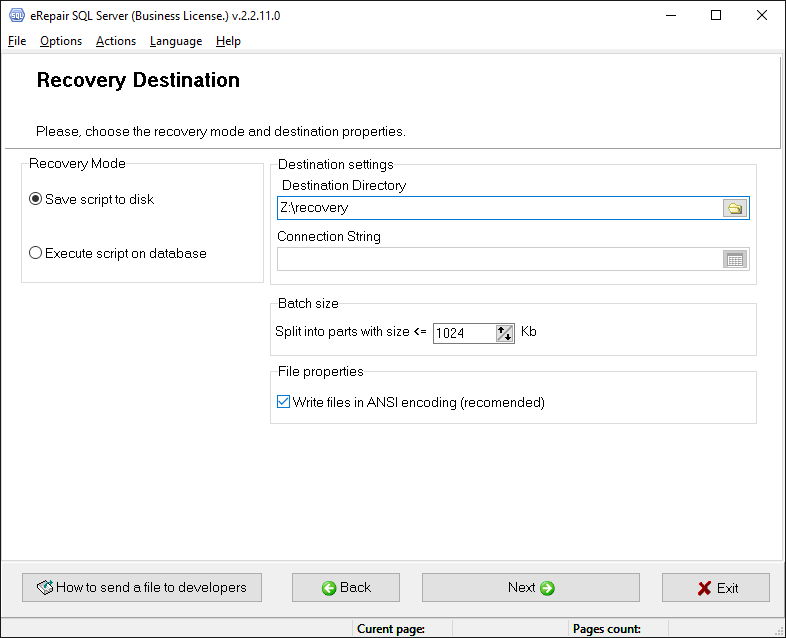 The DEMO version contains all the features of the licensed software but doesn't allow you to save the recovered database contents. 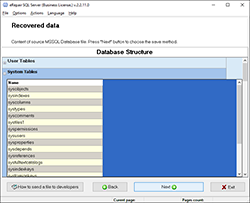 However, you will be able to inspect the full data preview without restriction. 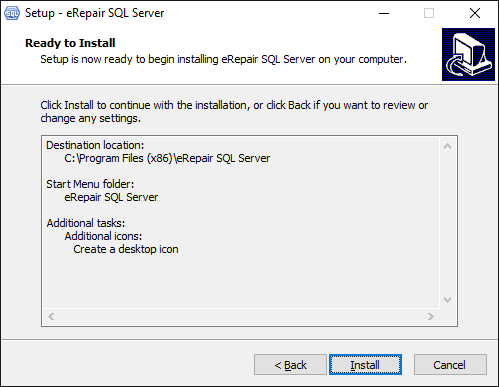 eRepair, Inc. ( eRepair) is committed to maintaining the privacy of the information you share with us. 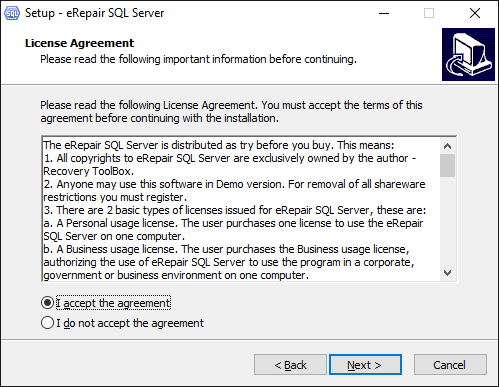 We will never sell, distribute, or rent information about you and your purchases at eRepair. We will only use the information you share with us for the purposes of enhancing your use of our web site, products, services, or, with your permission, sending you information about our products and services. 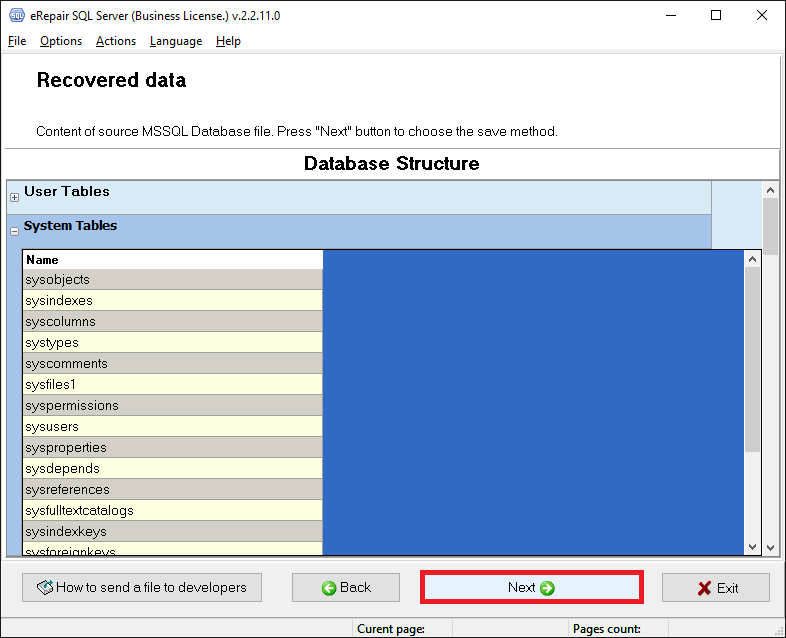 There may be times where you wish to gain sql to the information we have on file for you. To receive a copy of this information, please contact us. In addition, the service providers we use to serve and host our advertisements, and/or deliver our e-mails, use session and persistent cookies, to track the number of times the Website is sqled and whether the site was sqled from an advertisement. There are no cookies in the advertisement or e-mail. A cookie is placed on your computer only if and when you click on an advertisement or open the e-mail. The cookie generated from the advertisement or e-mail does not contain any personally identifiable information and will remain on your hard drive until you delete it. You may set your browser to block cookies (consult the instructions for your particular browser on how to do this), although doing so will adversely affect your ability to perform certain transactions, use certain functionality and sql certain content on our Website. 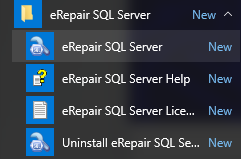 eRepair reserves the right to make changes or updates with respect to or in the Content of the Web Site or the format thereof at any time without notice. 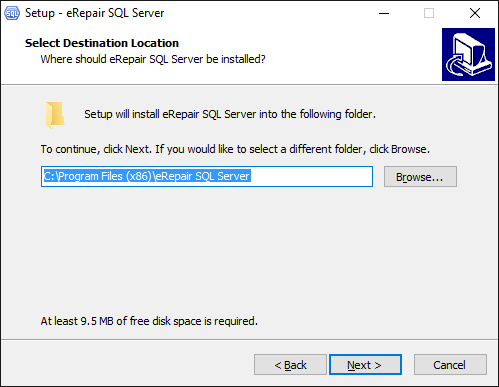 eRepair reserves the right to terminate or restrict sql to the Web Site for any reason whatsoever at its sole discretion. Without limiting the foregoing, eRepair makes no warranty that: the services and products will meet your requirements; the services and products will be uninterrupted, timely, secure, or error-free; the results that may be obtained from the use of the services or materials will be effective, accurate, or reliable; the quality of any services or products purchased or sqlible by you through the site will meet your expectations; any errors in the software obtained from or used through the site, or any defects in the site, its services or products, will be corrected. Accordingly, you affirm that you have the legal right to sql all data, information and files that have been hidden. 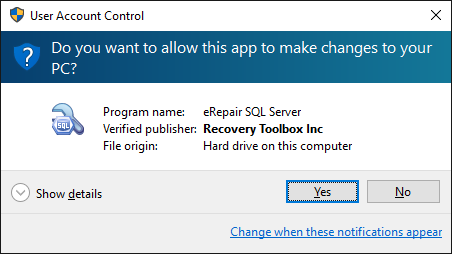 eRepair does not bear any responsibility nor assumes any risks if by any reason a product or a service made available on this Web Site breaches national law of any state. Those who sql this Site do so on their own initiative and are responsible for compliance with their national laws. A Client is that who purchases any eRepair, Inc. ( eRepair) product online through any eRepair website. eRepair does not decrypt encrypted Microsoft SQL Server databases, SQL Server, Word, Lotus Notes Database, and so on. 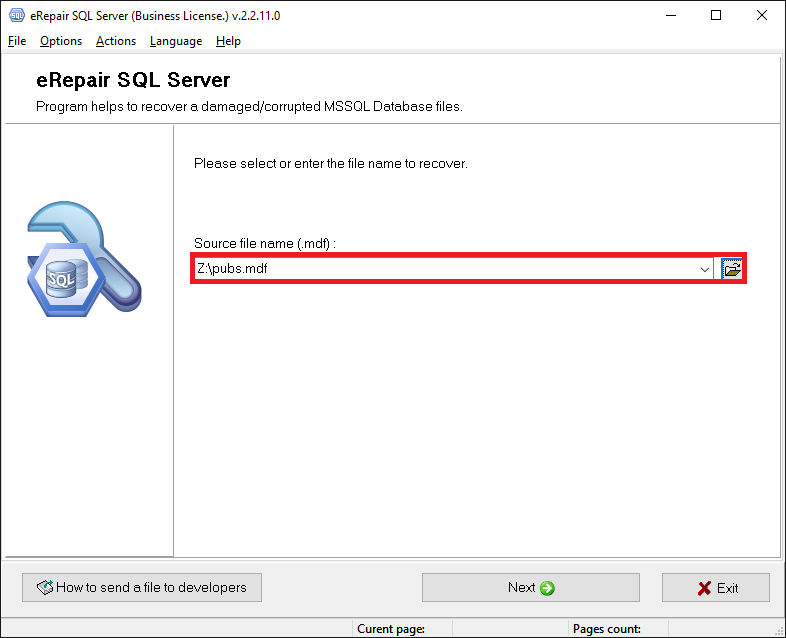 Furthermore, clients are clearly informed not to use the software in case of the emergence of a message like This database has local sql protection and you are not authorized to sql it locally. This information is clearly mentioned on all the product websites of this software. Therefore, the refund requests in this case are not valid.